The Great Wall is a must-see for visitors to Beijing. Beijing, previously known as Peking, is the capital city of the People&apos;s Republic of China. We&apos;re sure you knew that, but did you know that it is home to the longest wall in the world, as well as the largest palace in the world? Dominating the north of China, there is a lot going on in Beijing. Here are 10 interesting facts you should know if you&apos;re already planning your trip to Beijing, or if you&apos;re just starting to think about it. 1. Beijing is one of the oldest cities in the world. 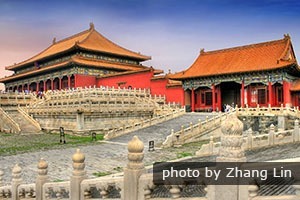 The Forbidden City is one of the most important historical attractions in Beijing. Beijing’s history can be traced back 3,000 years. It’s about as old as London, six times older than New York, and ten times older than Sydney. The city retains a wealth of historical sites, such as the Great Wall and the Forbidden City. Beijing is also one of the oldest inhabited areas in the world. Fossils indicate that Peking Man (Homo erectus) lived there from 770,000 to 230,000 years ago. The Peking Man World Heritage Site at Zhoukoudian is the place to see the fossils. 2. Beijing is a 6-times capital city. Beijing has been the capital to six notable Chinese governments. 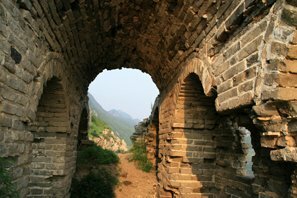 China has been ruled from Beijing for over 700 years, which is why there are so many historical sites to explore. 3. Beijing was not always called Beijing. Before settling in on the name “Beijing” in 1403, the city had a series of names: Jicheng (‘City of Ji’), Yanjing (Capital of Yan’), Nanjing (‘Southern Capital’), Zhongdu (‘Central Capital’), Dadu (‘Great Capital’), Beiping (‘Central Peace’), etc. Beijing (‘Northern Capital’) was the 16th name given to the city. See more on Beijing History. 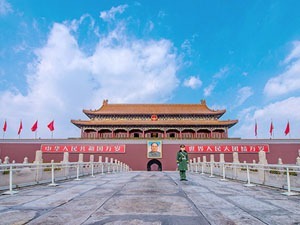 Beijing’s long and rich history has left behind an abundant historic and cultural heritage, including seven UNESCO World Heritage Sites: the Great Wall, the Forbidden City, the Summer Palace, the Temple of Heaven, the Ming Tombs, Peking Man Site at Zhoukoudian, and the Grand Canal. 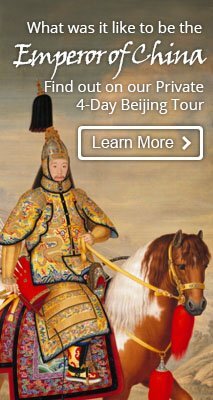 Our Essence of Beijing tour covers four of them. Their magnificent and well-preserved architecture was constructed hundreds of years ago. 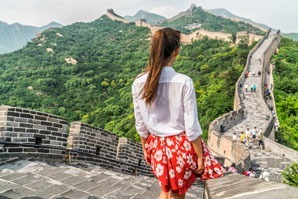 The Great Wall is one of the greatest sights in the world — the longest wall in the world, an awe-inspiring feat of ancient defensive architecture. The Forbidden City is the largest palace in the world. It is also China&apos;s best-preserved imperial palace, and the essence and culmination of traditional Chinese architectural accomplishment. 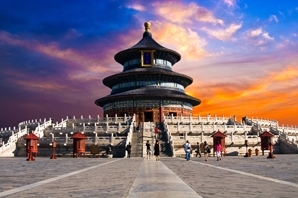 The Temple of Heaven is considered the most holy of Beijing&apos;s imperial temples. The Summer Palace is the world’s largest imperial garden, where emperors spent their summers. 5. Beijing is a cultural hub of China. 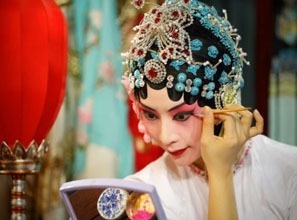 A actress of Beijing opera is making up. 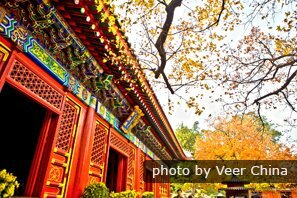 Thanks to its long history and deep cultural roots, Beijing has a unique collection of architecture, arts, cuisine, and other cultural facets. 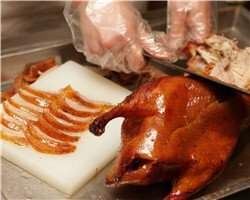 A Beijing culture tour is not complete without imperial architecture, like the Forbidden City, and the narrow hutong lanes lined with traditional courtyard houses; performing arts like Beijing opera; and Beijing cuisine like roast duck. 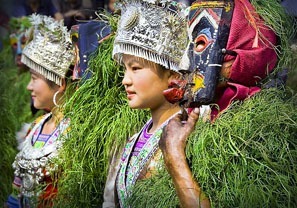 Glimpse the magnificence of Chinese culture through the lens of its capital. 6. Beijing is the second largest city in China. Beijing Municipality has a population of almost 22.5 million (almost as many as Australia), in an area of 16,800 square kilometers (or 6,500 square miles). It is China&apos;s second largest city after Shanghai. It&apos;s important to plan your time in Beijing well, as the crowds and traffic congestion, not to mention its sheer size, are big challenges. A private tour can help make the most of your time and limit the hassle. 7. Beijing is the No. 1 China gateway city. Beijing Capital International Airport is the world’s second busiest airport, and it is most often used as the airport of entry to and exit from China. The new 144-hour visa-free transit policy makes the city a more convenient travel destination. It allows travelers from 53 countries to enjoy a 6-day trip in Beijing without a visa. From Beijing, it is easy to travel by plane or direct bullet train to most major China destinations. See more on Beijing Transport. 8. The best times to visit are May or October. Beijing is a city of extremes when it comes to its temperatures. The highest recorded temperature in Beijing is 42 °C (109 °F) while the lowest is -27 °C (-17 °F). This means the best times of the year to go are spring and fall. See Beijing weather. April, May, September, October and November are the most beautiful and comfortable months. If possible, try to avoid national holidays though, as tourist sights are very crowded on these days. 9. Beijing will be first to host both summer and winter Olympics. One of the biggest sights in the city is the Olympic Park, built for the Summer Olympics in 2008. 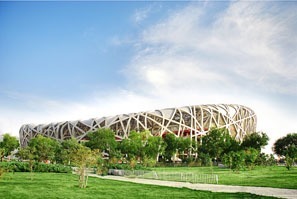 China&apos;s National Stadium, or The Bird&apos;s Nest, and National Aquatics Center, or The Water Cube, are outstanding engineering marvels. If you are interested in modern architecture, you should not miss them. The city is currently preparing to host the Winter Olympics in 2022, with large investments in its many skiing and winter sports resorts. 10. The air quality is getting better. If you&apos;ve only ever heard about Beijing&apos;s pollution on the news, you might be concerned about the air. However, the city has plenty of great air days, and the situation has improved a lot even in the last few years. In fact, breathing Beijing&apos;s air for six average days is the equivalent of smoking just one cigarette: this is not bad for a large developing world city! China Highlights willprovide particulate masks if you do happen to stumble upon a bad air day. 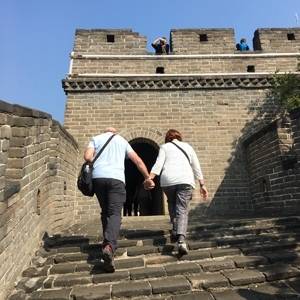 We are also flexible to change your itinerary, allowing you to go to the Great Wall when pollution in the city is bad, and see the Forbidden City when the air is better, for instance. See What to Do on a Bad Air Quality Day in Beijing. Discover Beijing at your own pace. Due to Beijing&apos;s sheer size, if you&apos;ve got time constraints, planning your trip well ahead of time is vital. 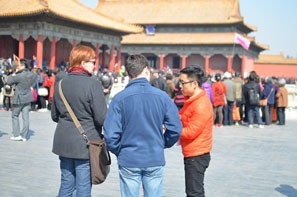 We can tailor your tour to what you wish to see while you&apos;re in Beijing.